This cut-out cross sign was made by Said Your Way Studio & Signs, GF's 2017 July Retailer of the Month. 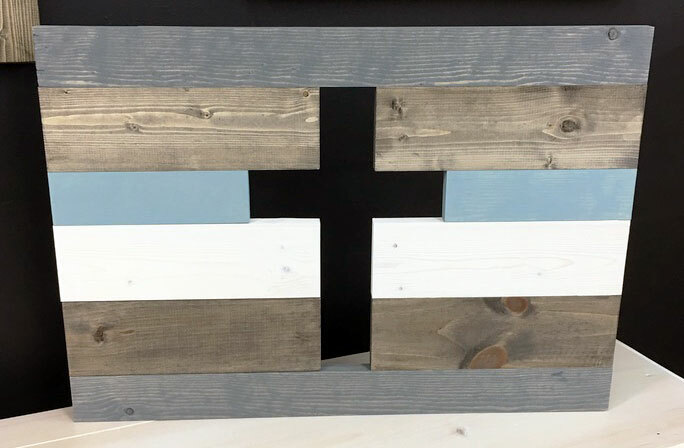 Loving the color combo of Weathered Gray and Walnut Water Based Stain along with Persian Blue and Antique White Milk Paint. Stop by Said Your Way Studio at 1013 W. 7TH ST. AUBURN, IN to pick up your favorite GF Products. Visit them online at http://www.saidyourwaystudio.com/ and check out their painting workshop lineup!